The love child of Hexen and Diablo? 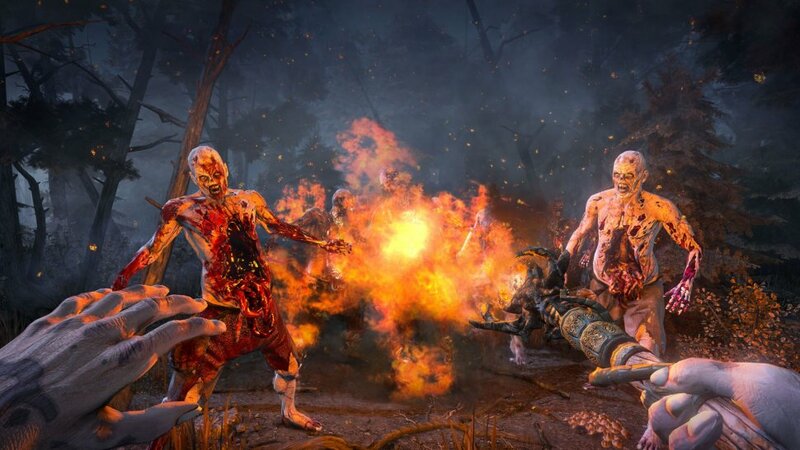 If you have been following the news on the site recently, you may be familiar with the new IP from Techland, the minds behind Dead Island. This new game is called Hellraid, and up until now, not much has been known about the game, save for a few enticing screenshots. 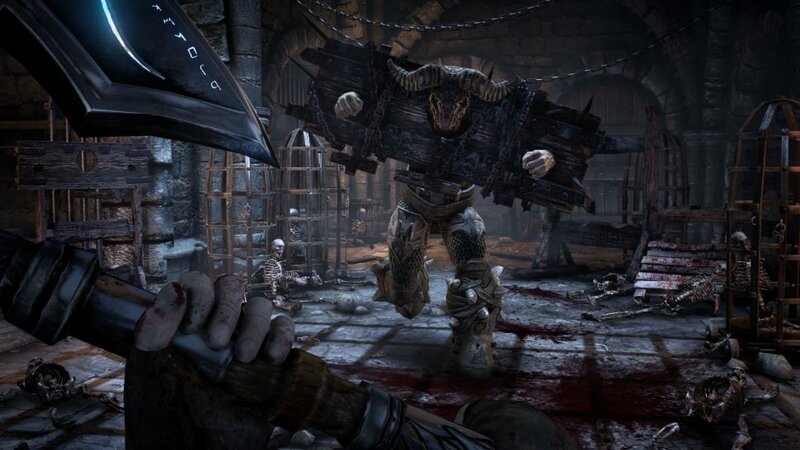 Hellraid is a new "first-person co-op slasher" that will feature a single player campaign and a cooperative component. It will be released on Xbox 360, PS3, and PC later this year. Recently, a developer Q&A was held with Techland regarding their newest game. Take a look below for the Q&A in it's entirety, courtesy of CVG. We're calling Hellraid a first-person co-op slasher. We invented this genre to capture the idea behind our game, which blends elements of classic hack & slash titles with a more advanced combat system based on timing and precision, RPG's, shooters and multiplayer games into one unique experience seen in very immersive, first-person perspective. Will gamers experience Hellraid only in co-op? What is the main difference between playing solo and in co-op? Hellraid can be experienced both in single-player and in co-operation. While playing solo you explore the world, complete quests, gather loot and develop your character. In co-operation tension rises when you struggle to achieve mission goals while competing with your friends for points granted for each kill, team-plays and automatically generated challenges throughout the game. What does the gameplay in Hellraid look like? In Hellraid you travel between levels using a web of magic portals. Each level can be played an unlimited number of times to complete the story campaign, side quests and to defeat forces of evil with friends while competing for experience, points, rewards and places on leaderboards. During the game players can use a variety of melee, ranged and magical weapons. Combat is expanded with a set of unique active skills for each character class which gives the team additional tactical capabilities while searching for treasure, completing objectives, avoiding deadly traps, fighting the hordes of enemies and boss battles. Will gamers be able to develop their characters, or customize the weapons and armor? Each of the four character classes available in Hellraid (Warrior, Mage, Paladin and Rogue) will have their own skill tree that can be developed during the game. Along with that players can customize their weapons using an advanced crafting system or change their combat capabilities and appearance with armor that can be bought in shops, traded between the players or found during the game. Who or what is Game Master? Game Master is a complex system inspired by pen and paper role-playing games that makes each play through of Hellraid a different, completely new experience. In co-operation mode, Game Master carefully selects competitive challenges for players and awards the best ones at the end of each level. It changes where and how you and your friends complete quests, placement, numbers and types of enemies you encounter as well as deploying treasure chests and loot. Will Game Master work in single-player as well? Yes, Game Master will alter the experience in single-player the same way it does in co-op but without the competitive challenges which are unique for playing with your friends. How long is Hellraid and when it will be released? Thanks to Game Master and the varied experiences that it provides, Hellraid will give players hundreds of hours of pure fun. The game will be released in 2013 for PC, Xbox 360 and PlayStation 3. I hope you are as excited about Hellraid as I am. From what has been discussed in the developer Q&A, it looks like Hellraid will be the perfect fix for that co-op slasher with a competitive twist. The Game Master system looks like it will offer up lots of replay value, as will the loot and character skills to customize. Not to mention that the game looks fantastic from screenshots. 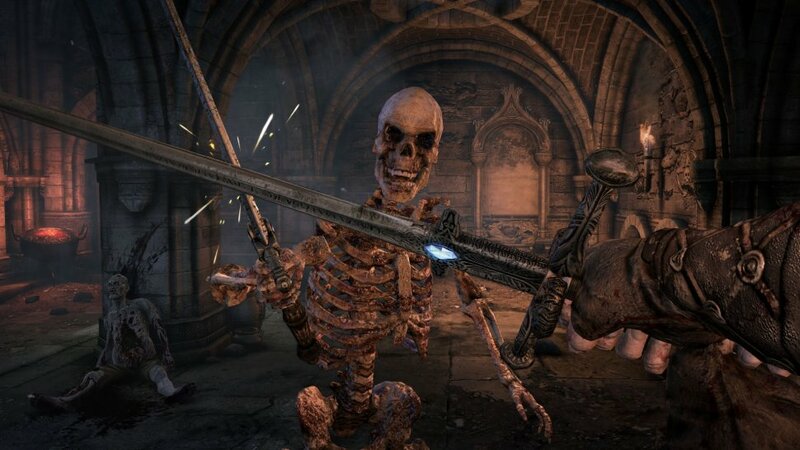 Stay tuned for more information on Hellraid as it becomes available. Get amped for Hellraid with a new "Interactive Trailer"
Page created in 0.3374 seconds.